We need to admit facts. We all love music. It does not necessarily mind what kind of music we prefer listening to, but we need to have it around us at all times. Studies indicate that music fires up more parts of the brain than any other stimulus, which is why we love it so much. Therefore, providing the right music-listening experience is essential, especially in our cars. 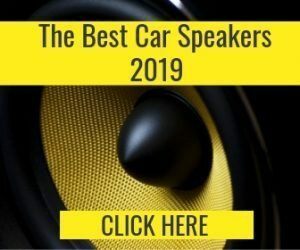 In this case, you should consider purchasing the Kicker 10TC104 subwoofer and sub box enclosure to make the best sounds in your car. 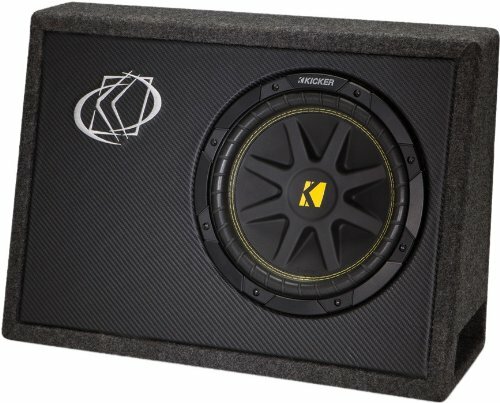 If you are not willing to build your own subwoofer enclosure, the Kicker 10TC104 is a choice that is kind to both you and your wallet. 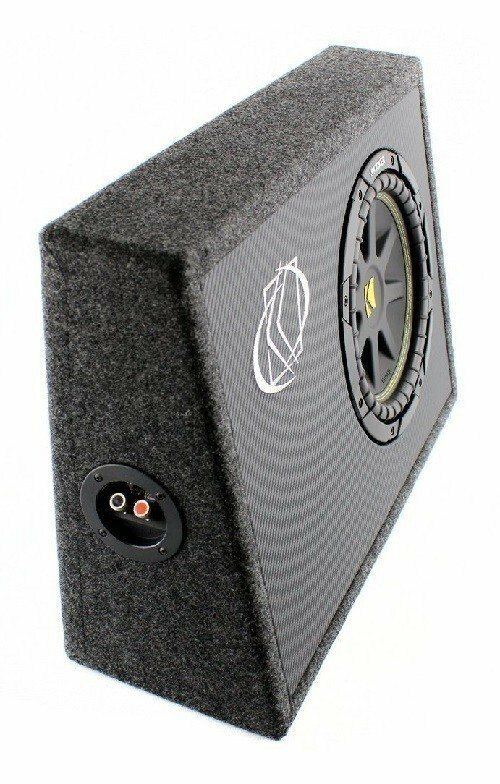 This 10-inch subwoofer is enough for most people that is looking for a bit more bass in their car. If you really want bass, I would suggest a 12-inch or double 10s. This subwoofer measures 10 inches in size and comes fully loaded. It provides four ohms of subwoofer action, and it can handle up to 300 watts of power. This model has been designed with a slim and trim facet in mind. Hence, it should fit into any tight space in modern vehicles with ease. Another factor we need to face here is that cars just do not come in the same sizes they used to, so we do not have a lot of room to deal with for sound customization. This slim design is perfect for fitting into such tight spaces while providing high-quality sound. This model is also made from a ¾ inch, medium-density fiberboard, which means it will hold up to maximum output ranges without faltering in construction. It is also covered in carpeting, which helps to absorb some of the vibrations coming from it. This carpeting might not match the carpeting in your car, but it can be replaced to blend in with ease. The frequency response for this subwoofer ranks between 30 and 500 Hz, and it has sensitivity up to 94 decibels. Given these two figures, you might easily be able to outperform other vehicles in sound quality and vibration. However, a warning needs to be made here: you might also damage your hearing permanently at higher volumes and outputs with this model. Kicker’s 10TC104 works well with amplifiers as well. It can handle amplifiers between those above 30 and 500-watt range without overpowering the system. 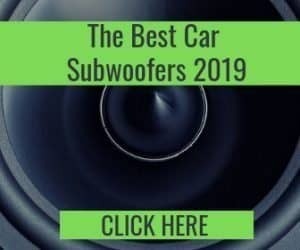 This subwoofer is easy to install into any vehicle. However, some electronic hookups are needed. If you just want it to sit in your trunk, then you very well might be able to install this item yourself. 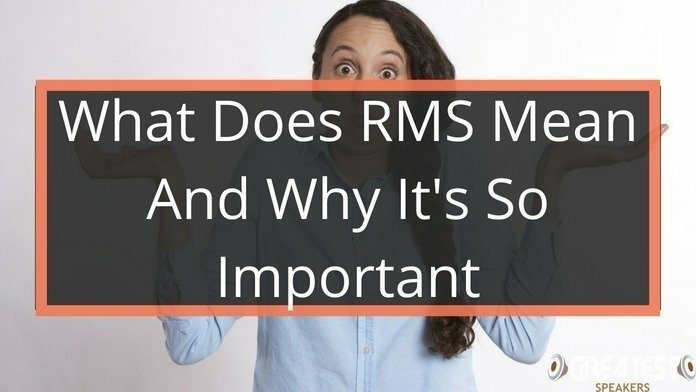 However, if I were in a situation where I did not know much about car electronics, then I would leave the installation up to the professionals. Kudos to you, if you possess those skills. Looking to a professional installation is also a great idea if you want to seamlessly hide the Kicker 10TC104 into some panel on your car as well. Cutting out and shaping the paneling can be a task in and of itself, after all. 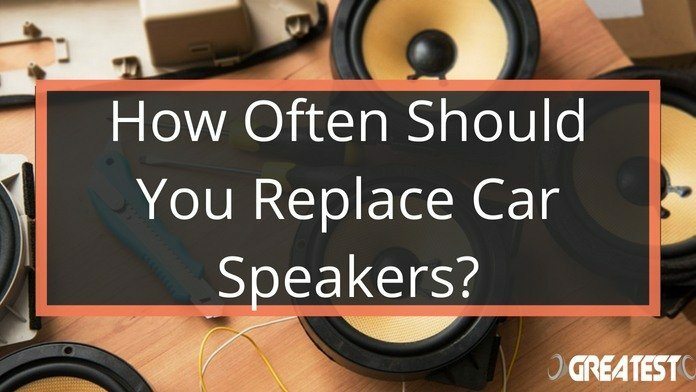 However, the subwoofer is easy to use once you plug it up right into your car’s stereo system. You do not need to install any specific types of buttons to trigger it. Should the piece be properly installed, all you have to do is change a few settings on your radio to make it work at maximum capacity. Even though I am not the best when it comes to installing electronic equipment into cars, I still find this model rather attractive. I think the hookups are simple to use, and it adds on to the sound quality in my car. Honestly, it’s become a key element to the listening experience in my car for my passengers and me. It does provide an added oomph, and it sometimes adds a little pounding vibration as well. However, it does not rock any mirrors or glass loose, unless it’s maxed out at optimal power. One of the best qualities about this subwoofer lies in its size. As mentioned previously, cars and trucks are simply not being made to the same sizes as they were in the past. Therefore, you need something that can fit in a tight squeeze location without taking up too much room. Trucks like the Toyota Tacoma can easily hold this thin model without taking up too much space inside a single cab. Considering the top of this subwoofer measures four inches deep and the bottom measures seven inches deep, it certainly will save you on space. Overall, the piece measures as follows: 21 ¾ inches by 15 inches by 7 11/16 inches by 4 ¾ inches. It also weighs 30 pounds, so you might need a handle in loading this model into and out of tight spaces. 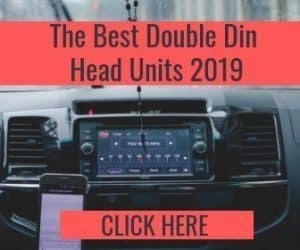 If you are not as good at installing electronics into cars, like me, then you might have to consider contacting a professional to do the work for you. The wiring in this subwoofer can be a bit temperamental from time to time. They are rather thin, and the plastic covering them is not very thick. When it comes to wiring it down to ground it into an amp, you need to be especially careful. If the wiring is not done right, then your amp might blow. A professional will also make sure that your wiring is stable enough and not loose in any way. Loose wires can lead to interference with the ohm output and readings. Again, I cannot make it any clearer at this point: consult a professional if you are not sure about how to install the piece into your car. There are just too many factors at risk otherwise. In short, I like this subwoofer. It’s small enough to fit in most compact vehicles without much problem. However, given the thin and temperamental wiring, I would rather have a professional do the installation for me. 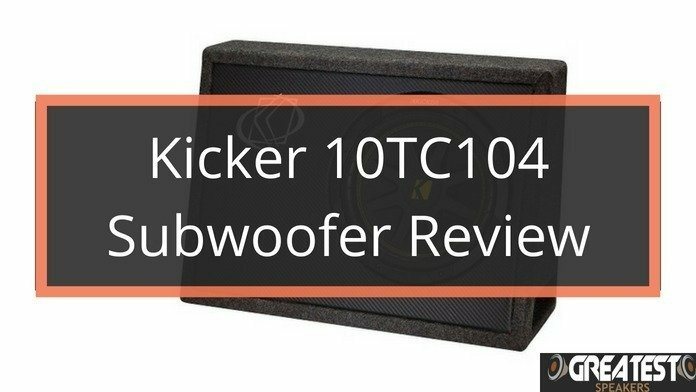 The Kicker 10TC104 is more than worth your time and consideration. 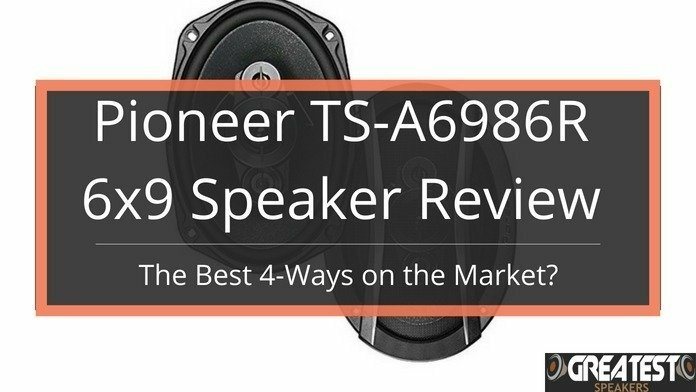 Pioneer TS-A6986R 6×9”: The Best 4-Ways on The Market?